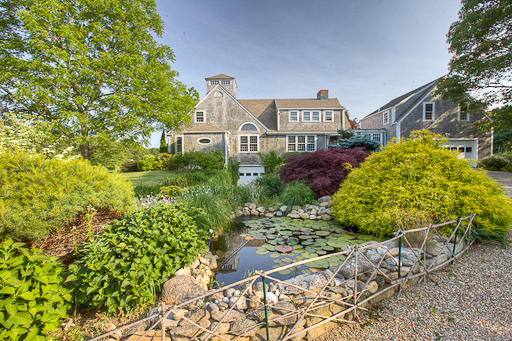 This property offers the beauty and integrity of a rural up island landscape affording ultimate privacy yet is only 3 miles to the convenience of Vineyard Haven shops and ferry, an easy 2 miles to North Tisbury center and just 4 miles to Lamberts Cove Beach! A "gentleman's farmhouse" has been strategically sited on a hilltop surrounded by gently rolling meadows and ancient stone walls. The natural beauty of the setting is enhanced and refined by the addition of mature specimen trees and lovely gardens. It has often been said that the allure of a waterview can be surpassed by the intriguing splendor of field views creating the magnificence of big, open skies.